The first time I tried Kanto Freestyle Breakfast's food was through take-out tapa bought by my friend Cams for me one afternoon in December last year. 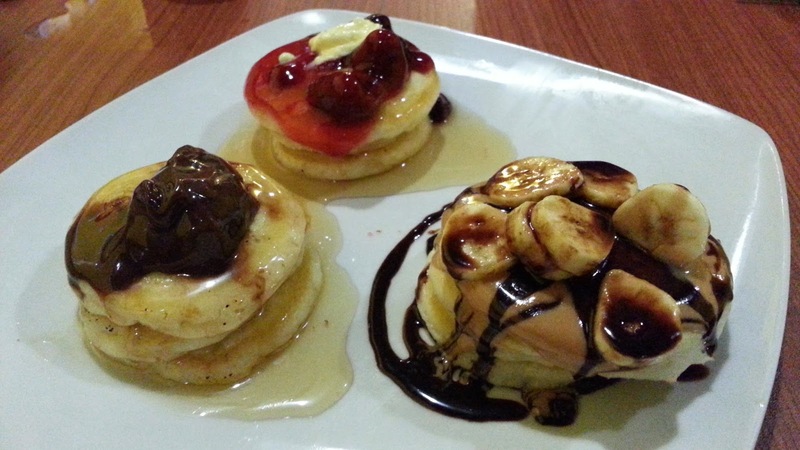 The second time was at the newly opened Zark's Burgers in Eastwood where Cams, JM and I had take-out blueberry pancakes, bought again by Cams, for dessert after we each had burgers for dinner. The pancakes were thick and the blueberry preserves generous. I liked it. When I finally decided to go to Kanto Freestyle Breakfast myself, my friends Hannah and Mills were on a one-hour timer for lunch. It was on a Friday just two days after most people's pay day. Needless to say, the place was packed. My friends both ordered the honey garlic chicken from their Kanto Boy Breakfast menu, which meant it came with garlic rice, two eggs cooked to the preference of the diner, and tomato pesto on the side. I had a taste of the chicken and it was flavorful, like the tomato pesto. They didn't get the order of eggs right for Mills, however. She asked for one sunny side up and one scrambled. Both eggs came scrambled. The place apparently is known to my friends as having slow service. They cut it close with my friends' orders but proved the reputation right with mine. 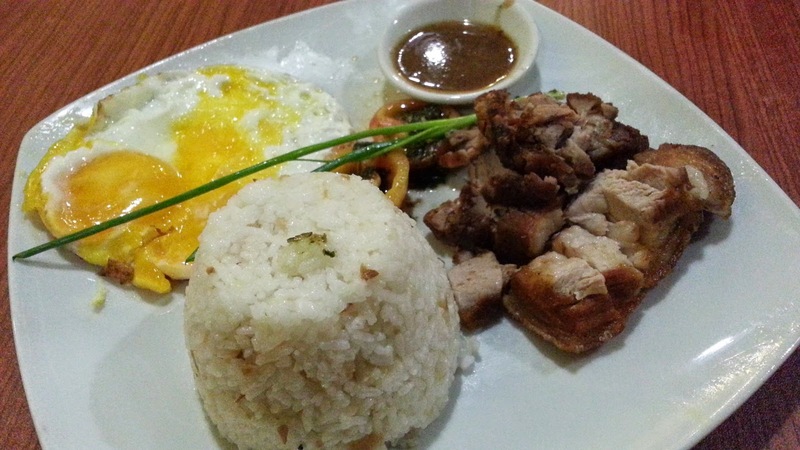 My crispy pork belly was 30 minutes late and the two sunny-side-up eggs I requested were a mess. The crispy pork belly wasn't even crispy at all. On the second follow-up of my order, we told them to already serve our pancake platter as well, but even that took some five more minutes after my crispy pork belly arrived. Good thing I can be easily mollified by a plate of desserts. They have so many items on their menu that I do want to go back for and try, such as tuyo flakes with kesong puti, Chocnut champorado topped with tuyo flakes and their deep-fried Cloud 9 and Oreo (they don't have eggs to mess up in those dishes anymore). I just hope their service would be better next time, whether it be peak hours or not, especially considering they have a 5% service charge. 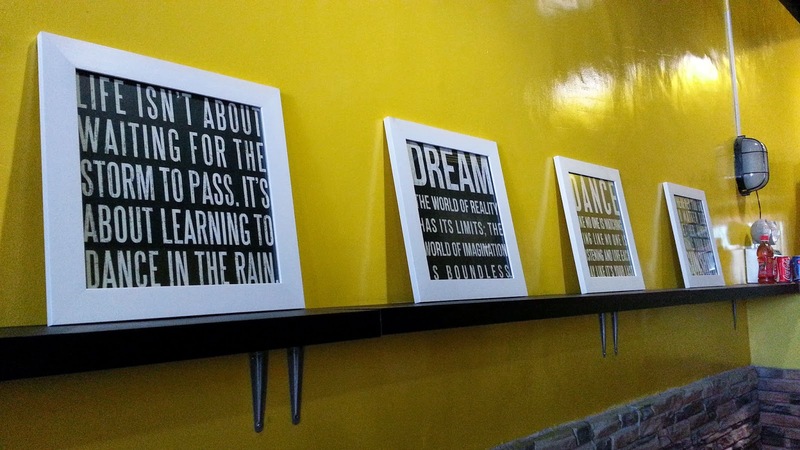 At least they've got framed quotations I can read and repeat to myself should they make me wait for my food again. 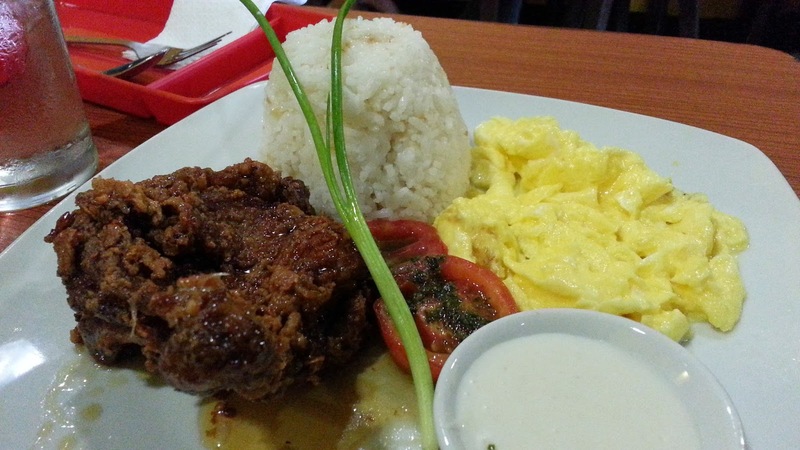 Kanto Freestyle Breakfast has a very good location at Intrepid Plaza, Libis. Staying true to its goal of serving gourmet kanto food (meals start at P50 and not many go higher than P100), it's right where the old lechon place behind MiniStop used to be and near the cheapo lunch stalls in what's actually known as "Intrepid" (probably the equivalent of the "Jolly Jeep" joints in Makati) to everyone living and working in Eastwood. It's a pinasosyal na tapsihan/carinderia with service that could be improved.